Last week, we feasted on a verse in Leviticus that urges us to maintain margin in our lives. To not max ourselves out with our time. Or our finances. Or our gifts and energies. The personal benefits of this are plenty - peace, security, confidence, freedom. But this verse is clear that the reasons for God's command is not limited to our own benefit. As is His character, He blesses us so that we can bless others. You can read the post from last week to get the rest of it but the gist of it is that not pushing ourselves to the limit - having margin in our lives - is a great blessing. God wants us to be sure that we purpose to bless others and not just enjoy His gifts for ourselves. He is the one who gives the blessings and He has rightful claim on our lives. He is the authority. But He is so amazingly generous and gracious. I think I will never cease to be amazed at the glorious truth that He rewards us for obeying Him - incredible! And that's what a dear friend reminded me of when I shared last week's truth. God is always working His beautiful plan. His plan of redemption and blessing and glory. And when we participate in what He is doing through our obedience, well, we can hardly contain the consequential blessings He pours out! The command in Leviticus to not glean the fields all the way to the corners but to intentionally leave some of the harvest there for the poor and needy to gather for themselves. In the book of Ruth, we see an example of obedience by a man named Boaz. You might be familiar with the story. I'll not go into great detail here but the abridged version is that Ruth was a poor widow who wanted to take care of her widowed mother-in-law (and that's material for another post....just sayin...). She knew God's commands to His people and trusted that a certain wealthy landowner would obey this very precept from Leviticus. So she went to his field and gathered grain. How cool. We see the effect Boaz's obedience had on this poor widow and her mother-in-law. Boaz noticed Ruth in his fields and asked about her. Folks knew her story of love and commitment to her mother-in-law and shared that with him. His heart was touched and he made sure she had more than plenty of grain to gather in the coming days. More blessing for Ruth. Because of not only Boaz's obedience but also hers. Boaz was old and had no wife. Ruth was young and apparently lovely and had no husband. Guess what God did? Sounds like a fairy tale ending,doesn't it? Indeed it is beautiful. The blessings of obedience. Beautiful. Our gracious God! And if it ended there, it would be lovely and glorious indeed. And he went in to her, and the Lord gave her conception, and she bore a son. 14 Then the women said to Naomi, “Blessed be the Lord, who has not left you this day without a redeemer, and may his name be renowned in Israel! 15 He shall be to you a restorer of life and a nourisher of your old age, for your daughter-in-law who loves you, who is more to you than seven sons, has given birth to him.” 16 Then Naomi took the child and laid him on her lap and became his nurse. 17 And the women of the neighborhood gave him a name, saying, “A son has been born to Naomi.” They named him Obed. He was the father of Jesse, the father of David. Ruth 4:13-17 shows us that God blessed Boaz and Ruth with a son. And their great grandson would grow up to be King over Israel! King David! Talk about the abundance of God's blessing! Boaz obeyed God. Ruth obeyed God. And God blessed and blessed and blessed. How like Him! Fast forward through several generations. Through years of both obedience and disobedience, both blessing and adversity for the nation of Israel. Get all the way through the succession of kings and prophets and captivity and exile. Past the last book of the Old Testament, Malachi, to the book of Matthew. There, the story picks up and walks us through the family tree of Boaz. From Obed to Jesse to King David. To Solomon and his sons who reigned over Israel. From the splitting of the Kingdom to the deportation to Babylon. To Jeconiah to Shealtiel to Zerubabel to Abjud to Eliakim to Azor. From Axor to Eliud to Eleazar to Matthan to Jacob. Wow. The blessings of obedience. Boaz and Ruth got to participate in God's plan of redemption. 28 generations of tracing His story. All the way to Jesus. Matthew records the genealogy of Christ through Joseph, his earthly dad. Awesome indeed. But because God is always blessing above and beyond what we can ask or imagine, because He is glorious and mighty and because He alone is worthy of our praise...He makes sure we see the blessings He has stored up for those who obey....the Gospel of Luke traces Jesus's genealogy for us, too.....but not through Joseph...through Mary. The blessing God poured out. 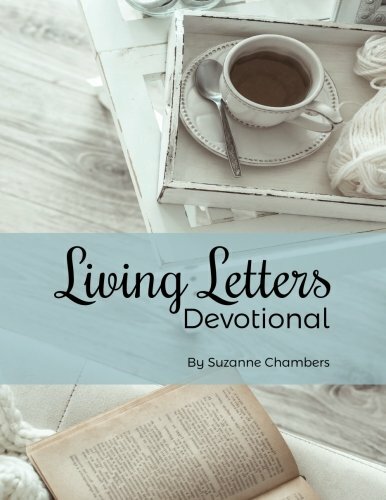 Because they obeyed God's command in Leviticus, Ruth and Boaz got to participate in a major way in what God had planned to bless the whole world. I wonder what He's got planned that we get to be part of?